Comments: Seize the opportunity to own a unique historical property!!! The entire property has been fully restored & updated within the last decade. 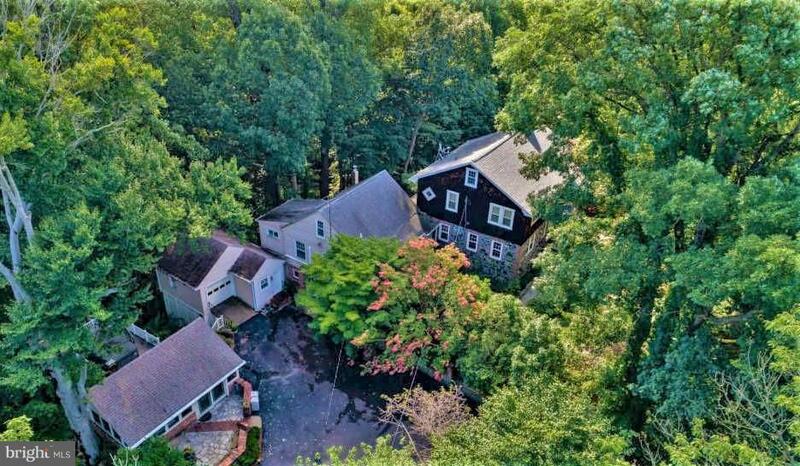 Enjoy 6 total bedrooms, 3 full / 2 half baths and 3 garage spaces across 2 dwellings on 3.64 acres with a full vista of the Patapsco Valley State Park. Live in the 'Main House' and utilize the detached 'Guest House' as an In-Law / Au Pair Suite, home-based business or rental. Located minutes to major routes 95, 1, 295, 695, BWI Airport and MARC & AMTRAK stations, the home provides incredibly easy access to any commuter who also appreciates the ability to unwind through the seclusion and privacy offered by this setting. Designated as 'Avalon' by the Baltimore County Final Landmarks List (No. 228/230), the current owners lovingly renovated the property which includes extensive hardscaping and naturalized landscaping. Winner of the 2008 Historic Landmark Preservation award, this remarkable, one-of-a-kind, secluded, custom built / restored, estate park property is seated high above the Patapsco Valley on top of a granite and quartz cliff, located in the historic Avalon area of southwest Baltimore County. Careful attention was paid to restoring many of the original elements of design to the home speaking to the era, with luxury upgrades that include granite and quartz countertops, tiled floors, stained glass and refinishing of the oak and pine floors. In contrast to the Colonial facade, the interiors showcase beamed high ceilings and Arts and Crafts/Mission detailing, most accomplished using 18th century repurposed materials. Granite steps and an iron gate welcome you to the west-facing main entrance, which overlooks Patapsco Valley for truly stunning sunsets. The delight of nature is constantly present with exotic birds, bald eagles and egrets which accompany the sweeping views of 15,000 acres of protected lands. Surrounded by water on three sides - the Patapsco River in front, and a private stream that wraps around the sides and back - the immediate views and access to the park make this a special retreat - a real nature lover's paradise!The granite and cedar shake 'Main House' includes 3,546 sq ft within two complete finished levels of living space, 4 bedrooms, 2.5 baths, a full footprint stone cellar, 2 stone wood burning fireplaces, and an open, unfinished attic. The 1,144 sq ft 'Guest House' features 2 bedrooms, 1.5 baths plus a 2 car garage; it could easily be used in a variety of ways to contribute additional income through rental or for a multi-generational family to live side by side between the Guest & Main Houses. The original owner's 1-story 'Boat House' can be used as storage or workshop. Enjoy the vaulted ceilings in window enclosed 'Summer House', a clubhouse updated with seasonal running water, a wood burning fireplace, just steps from the oversized outdoor space that houses a deck and the ThermoSpa. The estate property includes numerous exterior elements to comfortably incorporate all that this natural setting has to offer into everyday life. Open air loggia, covered patio, open air deck, a fruit-bearing orchard and vineyard are all easily accessed by flagstone and concrete walkways. Self-sustaining low-maintenance gardens surrounding the home were specifically designed by the owner (a master gardener and award-winning vintner) to offer both formal and natural-scapes that require minimal work. For the entertainer, there are abundant open and covered outdoor spaces and a parking lot that accommodates 10+ cars.For more information directly from the owners, Google "Avalon Cliff"!